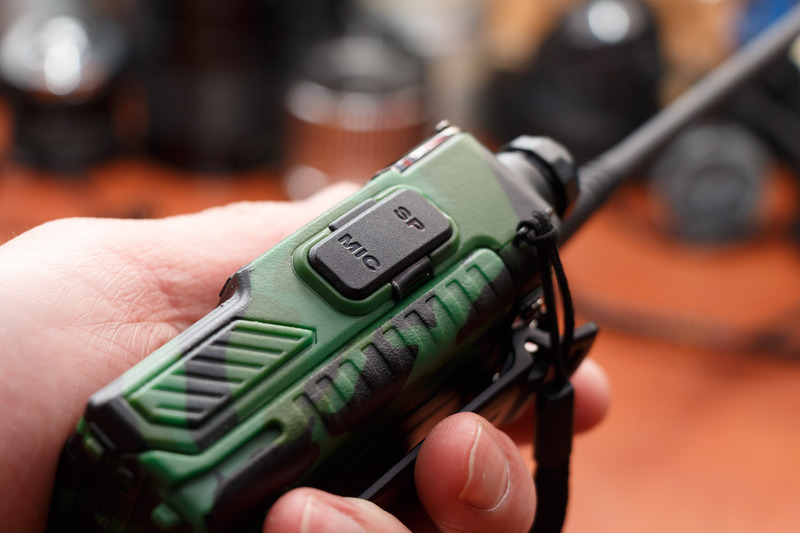 In june 2013 I bought this Baofeng handheld transceiver directly from China. Model type is UV-5RE. The first evening after I got this little transceiver in my hands, I’ve done some measurements. >> Update: in 2015 (October), I bought a new one, the UV-5R+ (UV5R plus): some improvements have been made: on the newer model, the S-meter does have a real signal strength indication and the audio sounds a bit better. FM limiter is a bit worse. Battery indicator is better. There are a lot of discussions going on about the performance of the receiver. Probably (and I really don’t know! ), there are differences between older and newer models. Mine is produced end of 2012 and bought in June 2013. This is an average for all frequencies, but actually measured in the 2m and the 70cm band. 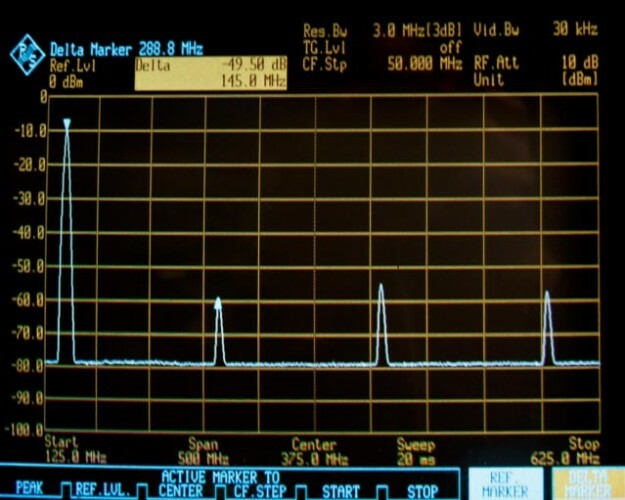 At 520 MHz it’s somewhere around 0.16µV. Conclusion: the sensitivity is very good and quite equal on all frequencies. I have to test that in more depth, but my first impressions are positive. In comparison with my FT-897D (from 2005), the differences are very marginal. But okay, on 2m, the 897 is seems somewhat better, probably because the noise level is quite high on my antenna. On 70cm, the UV-5RE is somewhat better. But that’s very deep in the noise! I don’t have much out of the band strong signals in my neighborhood. The filters are a bit wide. FM-Narrow is only for the modulation deviation on TX. On RX, the RF filtering is not narrowed (although the audio output volume is slightly higher). The RX filtercurve is somewhat stretched out to the upper frequency, but it is not off-frequency. Measured while using the standard 7.4V battery, just charged (8,4V). There is some variation between units. I think that that has to do with production tolerances. For these kind of cheap units, it is not expected that they were independently calibrated for best performance. I have two Baofeng UV-5R units. Both units were measured for harmonic suppression on a Rohde & Schwarz FSAC, on a high quality dummyload with -40dB output (capable of >8GHz). The first unit, the UV-5RE, is produced in 2012. The second unit, the UV5-R+, is produced in 2015. Numbers are in dBc, where c=f. The performance is not perfect, as expected. Every unit performs differently. 3f is higher than 2f, but not always as seen by others. However, be careful to use these transceivers on big antennas. My 2012 model did also have some sub-harmonics, only when used on 2m, which were not higher than the harmonics. TX power did not make a big difference. 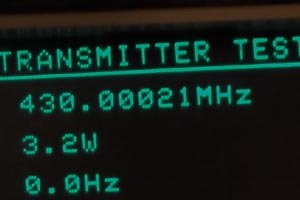 UV-5R plus (2015) on 145 MHz, on high power the picture didn’t look much different. 145.000 MHz, measured deviation: -60Hz when cold, -40Hz after 5 minutes of transmission on high power. 430.000 MHz, measured deviation: +160Hz when cold, +250Hz after 5 minutes of transmission on high power. 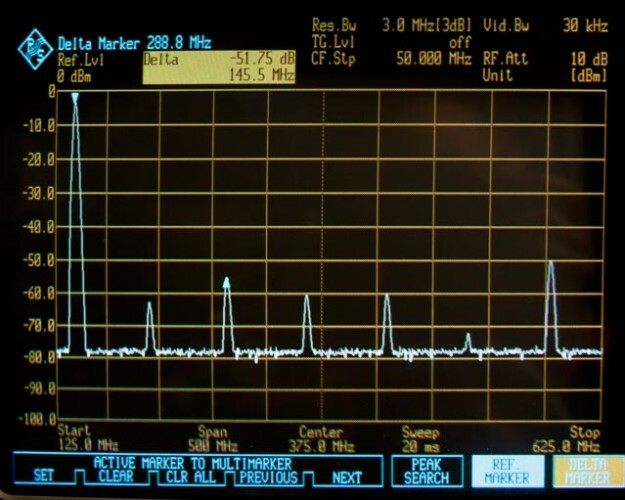 Variation of the PLL systems frequency correction is randomly and not more than 25Hz on 2m and 50Hz on 70cm. Although there is some difference between the squelch sensitivity settings (9 steps), the highest setting (9) does not have a big difference with the lowest setting (1). For most situations, setting 5 will do a good job. 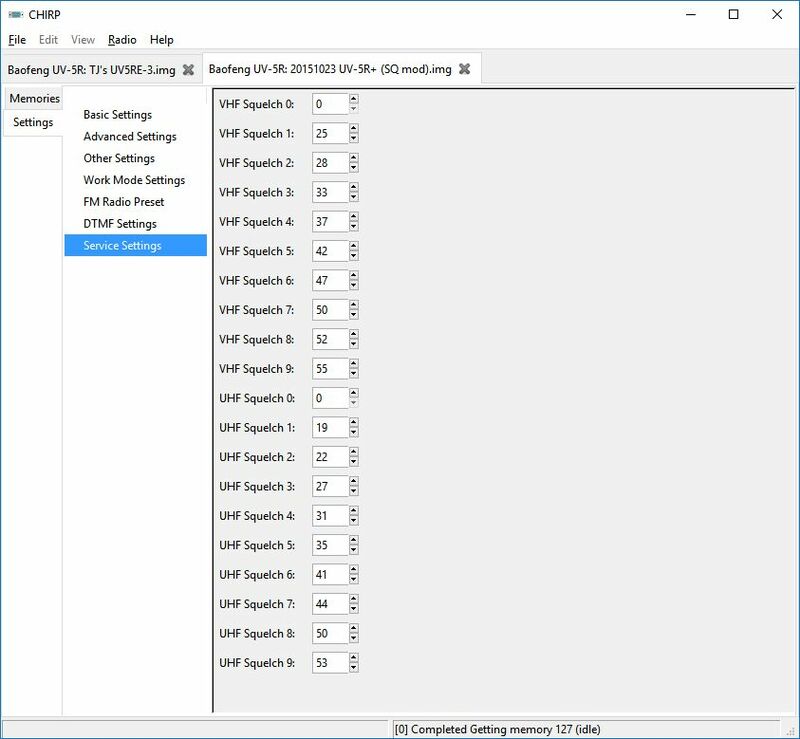 >> Update: with Chirp programmer software, on more recent firmware’s you can modify all the steps and the sensitivity in “settings” > “service settings”. Choose numbers between 19 and 55 for all signals between S1 and S9. See picture on the right. More information at Miklor’s site. The sound from it’s internal speaker is thin and sharp. But the intelligibility is quite good. Very good in noisy environments, because of the sharp sound. I found the Kenwood TH-D7’s sound from it’s internal speaker better (more comfortable). But how does the UV-5RE sound on the speaker output terminal (used for external speakermikes)? Very good actually. It still is somewhat sharp, but that can be a good thing for narrowband signals as we use it. Here are some samples, which are recorded directly from the speaker output socket. For comparison, there is also a Kenwood TH-D7 sample. You hear a repeater with medium signal strength. When the squelch mutes, you hear a “plop”. This is only noticeable when using headphones, or a line output (in above example, this was a repeater, so wait for it to fall off). The plopping sound can be annoying on the headphones. 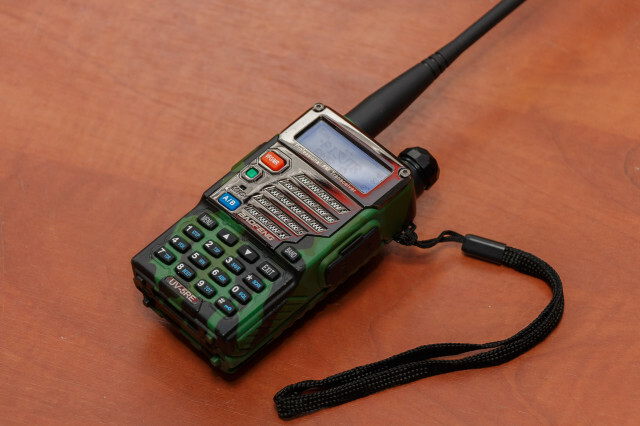 The Kenwood had more broadband noise, while the Baofeng UV-5R sounds quieter. But the Baofeng has some equalisation around the middle tones. With weaker signals, the noise can therefore sound a little harsh. But don’t worry; it’s not bad at all. Update 2015: on more recent models, the audio quality has been slightly improved, but the FM limiter is a bit to slow, resulting in harsh clicky sounds while having signal fluctuations (driving in a car for example). This is while using the search function on the FM band (which is very fast by the way). There is no stereo output available. The sound from the internal speaker is thin, but this external recording sounds quite good. Okay, it is not very rich in bass tones. But this is not a HiFi component. This is a Dutch spoken example. First you hear some normal base-stations (with some noise). After a few seconds, you hear me talking on the UV-5RE with an external microphone (no brand). I’m using a dummy load and my signal is recognizable as the one with no noise. After 40 seconds, I’m talking in the internal microphone of the transceiver. Click on the arrow below for playback. Look in the plot for the modulation levels in comparison with the other stations and the different conditions and microphones. Conclusion: the modulation sounds somewhat thin and not very loud when talking 10cm away from the microphone. It also has some kind of equalized sound to it (DSP generated). The intelligibility is good though. When talking near the microphone, the modulation level is just right. But you have to think of that. An external microphone can give it slightly a clearer sound. Note that above example was an unmodified radio. Important notice: newer units perform better and don’t always need any modification at all! Please keep that in mind while reading this. This test was done with an 2012 model. What is the simplest way to modify the radio for a louder modulation? Again: this is not necessary. I cannot advise you to open the radio unless you are very experienced. That’s because of the integrated parts which are held together with the same screws. For example; if you want to lift the print from the metal case, you have to remove the display. It’s hard to put it together again, because the display has rubber bands for the electrical signals and metal bendings around the print. Check for all display characters if they are working again after assembling the first parts and before you mount it in its casing. >> But okay you want more… :) find the schematics on the internet. Lower C135 from 47nF to a much lower value. This gives you slightly a louder and clearer modulation, maintaining enough RF decoupling. Why C135? Well, 47nF is way too high as parallel capacitor in a mid-high impedance audioline. I don’t know why Baofeng did this, because the RDA chip has its own audio frequency bandfilters. Also, for RF decoupling, 47nF is overdone (L44 takes care of the most decoupling). That’s why I lowered it. The value is not very critical, use something in the lower range between 4p7 and 47p (I used 4,7pF, because I had that one on stock). Some people have modified the radio in such way, that they have used the VOX transistor as microphone amplifier. 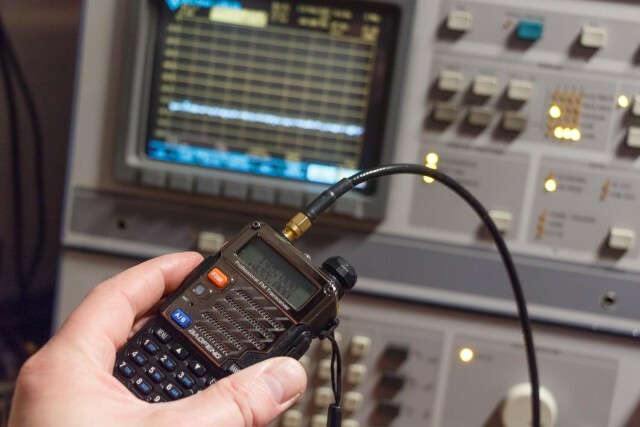 In the current models, this is really not necessary and this method is very bad for the RF decoupling performance, apart from losing the VOX function. Don’t forget the importance of L44 and some capacitance behind that! Especially when using an external microphone. Overdriving the RDA chip’s mic input gives a compressed sound, because of its internal limiter. Stay away from too much amplification before the chips input. The 1800Mah battery gives you a very long operating time. I was happily surprised by this. But this depends strongly on how often you hit the transmit button of course. Charging an empty battery, takes approximately 6 hours with the included desktop charger. The battery is protected against overcharge and overdischarge. – When the squelch opens, there is 10mA more current draw. That is with no audio over the speaker (volume closed). With audio volume at maximum with noise, the current draw is approximately 300 mA. – After a ~10 seconds, power saver lowers average current draw dramatically by pulsing the receiver on and off several times per second. Menu setting “save” can modify that behavior from “off” to “4”. The higher the setting, the higher the battery saving. But the gap is larger, so you can miss short duration signals, or the first part of a longer duration signal. “3” is a nice setting for most situations. – The TDR setting does not affect the current draw in a negative way when not using the power saver (menu “SAVE”). But when using the power saver, the TDR system wants to scan both channels per pulse. So in that case, the power saver is less efficient with TDR turned on. But it is nice to see, that the power saver still works when TDR is on! – The scanning function bypasses the power saver, but the scan function itself does not have a negative effect on current draw of the receiver. Back-light of the display is nice and functional. It would be even more useful, when there was a fourth option to only back-light the display and buttons, when pressing one of the buttons. With current firmware (I have BFB299) the back-light is activated when the squelch opens, the TX button is pressed, or when the squelch closes (all combined with button presses). 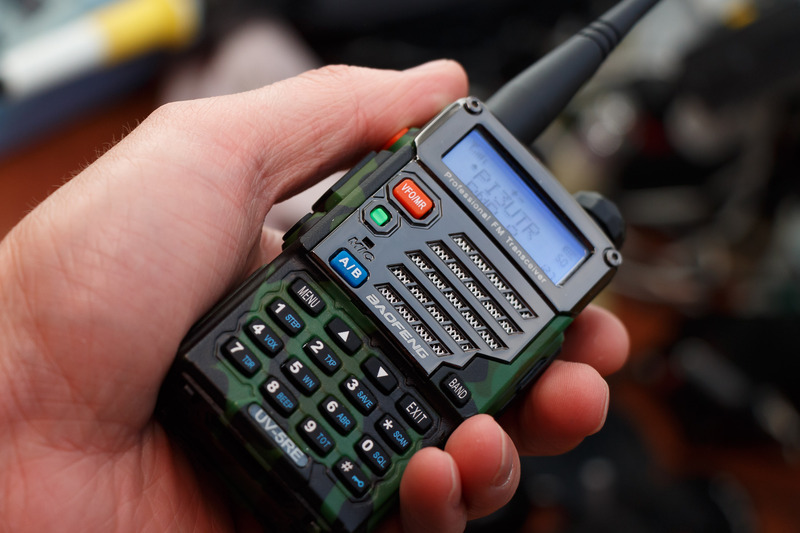 When there is constantly a signal, which opens and closes the squelch (like simplex between two or more stations), the back-light is constantly flashing on for the duration of the ABR time and off after that. ABR can be turned off completely, but then the back-light is always off. Even after pressing a button. So, just a back-light function for pressing buttons would be a nice feature for the future probably. By the way: for the three available states, the back-light color can be chosen, or separately be turned off also. The battery indicator is quite useless. It shows full (three bars) for most part of the battery capacity (from 8.4V to 7.1V). After that, the indicator finally lowers, but you cannot work very long anymore on that same battery. See it as a warning sign that your battery will be empty in a short time. It would be better if it was more linear over the complete range of battery voltage. Good feature: when the battery is almost empty, TX is made unavailable, but RX stays on for some time. Afters some time, the transceiver shuts itself down (the protection circuit in the battery does that). After recharging the battery, everything is normal again. The S-meter is not a S-meter. It always shows full scale, even when the received signal is weak. The used radio-chip supports RSSI indication, so it wonders me why they didn’t use that. << Update 2015: on newer models, they actually did use this function. It works properly on more recent models! Scan function: I’m glad there is a scan function, which can scan across the channels (in channel mode) and across the frequency (in frequency mode). You can even chose the scan resume function (hold and stop scanning when signal is received, hold for some time and hold until the received signal disappears). But the scanning is slow and you cannot scan between customized band limits (in frequency mode). Dual watch (TDR) mode is not the same as a dual receiver. You can listen to one frequency or channel at the time. The priority function can be frustrating (lockout etc). The sound of the internal loudspeaker is not bad, but could be less thin sounding when they have had used a better loudspeaker. << update 2015: on my more recent model, it sounds better! There is no rotary dial. But the keys have good functions. 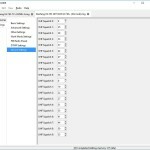 It’s nice to have two RF power level settings. But the difference between low- and high power should be larger. Low power setting should be somewhere between 50 and 500mW I think. Programming of the memory channels is not easy. I didn’t even try it myself. I’m using a programming cable with Chirp software. Installing the drivers needed some modding, but wasn’t that hard. Follow the instructions on Miklor.com. Now, with Chirp, programming is very easy and fast! I also tried the original VIP software, which worked good. But personally, I prefer Chirp. You can even lockout channels for the scanning mode. I think the menu shortcuts are great. For example: click “menu” and then one of the numeric keys. Watch for the blue text for its function. “Menu” > “0” brings you to the squelch setting for example. In frequency mode, you can type directly the frequency on the keypad (144700 gives you 144.700 MHz). In channel mode, you can type directly the channel number you wish to go to (126 gives you channel 126). FM radio is good, nice search function. Can receive from 65MHz to 108 MHz. The battery has a very good capacity (1800mAh). This gives you hours of operating time. Built quality is very good, despite the plastic housing. Size is just right in my opinion. 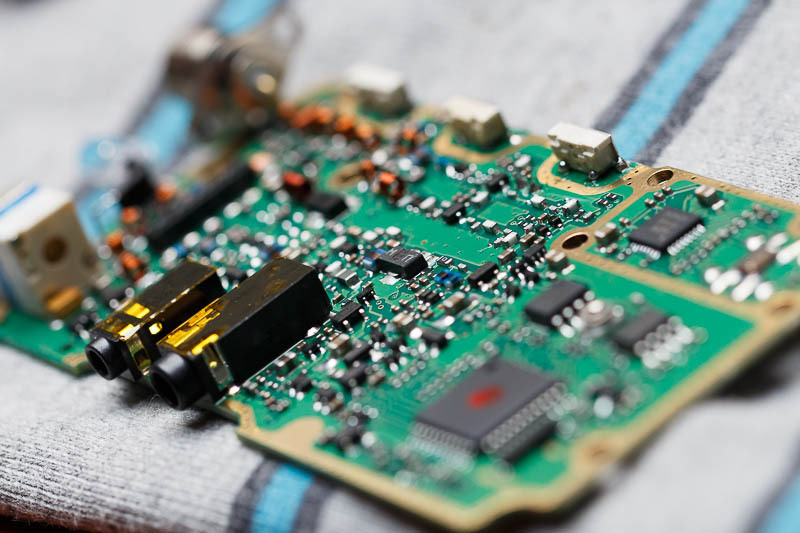 The most of the transceiver (receiver and transmitter) part, is built in one single integrated circuit chip (IC) (RDA1846). This chip contains the ADC’s, DAC’s, LNA’s, IF’s, IO’s and a DSP core, which makes it some kind of a digital software radio. Outside this chip, you see some switches, preamplifiers (RX), final amplifiers (TX), LC filters, a controller, audio amplifier and so on. 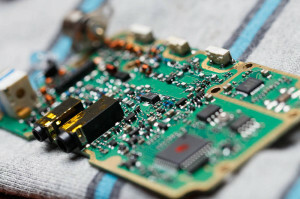 Because of this chip solution, this radio can be produced very cheap. 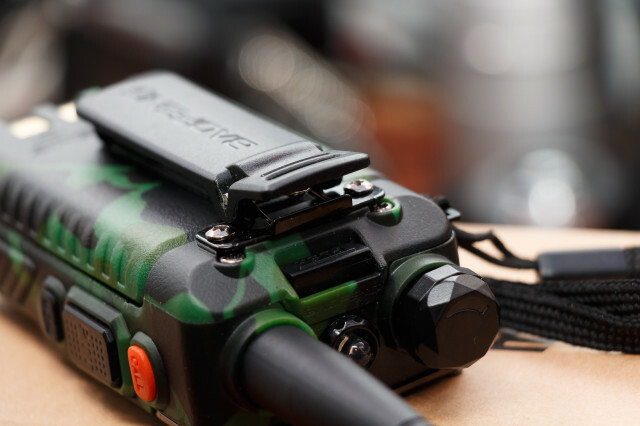 A Wouxun for example, uses a more conventional transceiver frontend. That’s why they are a little more expensive. But what is better? Well, a chip solution doesn’t have to be bad. 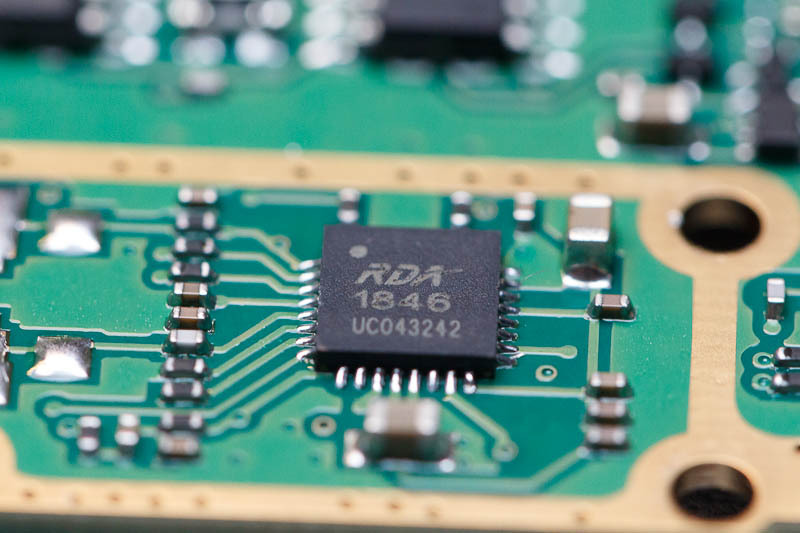 I think that RDA Microelectronics did a fantastic job, making a complete transceiver solution in one chip. 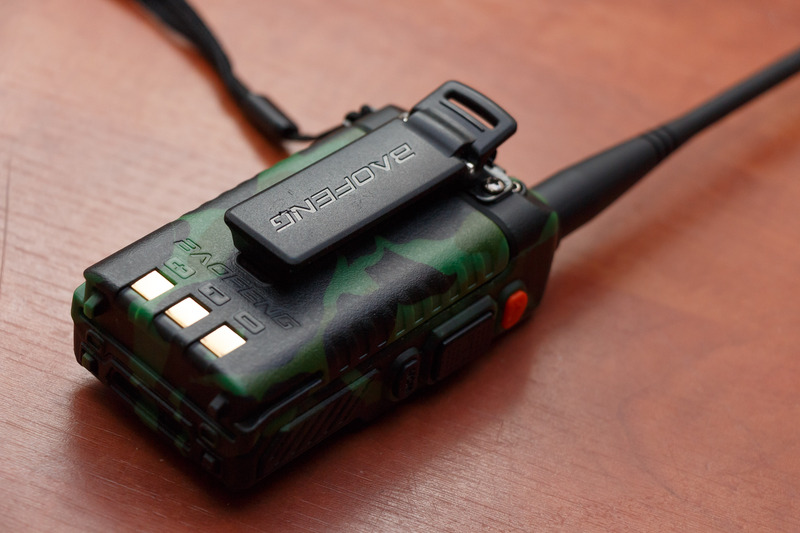 And it works great in combination with the way that Baofeng filtered and amplified the in- and outgoing signals. There are some limitations: almost everything is done with a DSP core. Most DSP algorithms are fixed in the chip and the performance is limited by the power and the software of this DSP core. I’ve seen better IF filtering and modulation quality, but you can not compare this radio with an expensive Yaesu, Icom, Kenwood, etc. But for the price of this radio, you get more of what you could wish for. Overall, this radio is very sensitive and useful for normal portable radio use. 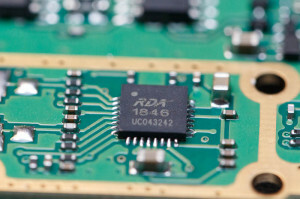 By the way: for receiving FM radio, a separate chip from RDA is used. Want to see pictures from the inside? Click here. Dit is een mooie review over de nieuwe porto. De porto ziet er mooi uit, ronde knop en goed afgewerkte behuizing. Het geluid is ook goed te te verstaan. ja ik heb meegeluisterd, zeer interessant. I have alot of problem with the internal microphone, when i put in a speaker microphone and pull it out again. The internal microphone dies. Took the radio apart and “knocked” on the board with a tool. And when i knocked on a Little microswitch the mic turned on again.. But only until the next time i put a speaker mic in again, then the internal mic died on me again. Try some WD40 spray (Google if you don’t know it): it will clean the contacts and lubricate it too. Maybe the contacts are dry, of just dirty. Probably this might work, otherwise you have to change the connector. Then it’s a mechanical issue in the connector and that’s not easy to correct. But maybe WD40 just works fine! Thanks for the excellent review. Did you meanwhile perform measurements of the harmonic supression? I have tested an UV-5R on 145 MHz having a 44 dB supression of the third harmonic on 435 MHz – unfortunately much higher than the 60 dB required by German law. I don’t have a very good spectrum analyser, but I can do some measurements on 2m. I will publish that today (done). This info seems to be quite old, from 2012, so I guess this issue should have been fixed with newer firmwares (>= BFB297). Mine is from 2013 (BFB299) and I don’t have that problem. I didn’t measured an offset and the drift was lower than 250Hz after a long time of TX (on 2m just 60Hz), so the the stability was also very good. Better than I expected. I am loving my little HT but I am getting some noise from the potentiometer, any idea how to get some contact cleaner inside that little bugger without disassembling the whole thing? Please note that WD40 may work otherwise than expected where some plastic materials e.g. Polystyrene or older, “hard” types of plastic. What may happen is that the plastic cracks into pieces, caused by some stuff in the WD40, so take care. Only use WD40 on metals! Perfecte review, en geweldige foto’s van de binnenkant. Thanks! Altijd leuk te horen. Hoi Tjalling, kwam je artikel tegen. Mooie review en knappe foto’s. Ik heb sinds kort een 3 kHz toon tijdens TX in mijn BF-F8+. Heb het schema al zitten bestuderen maar kan geen oorzaak verzinnen. 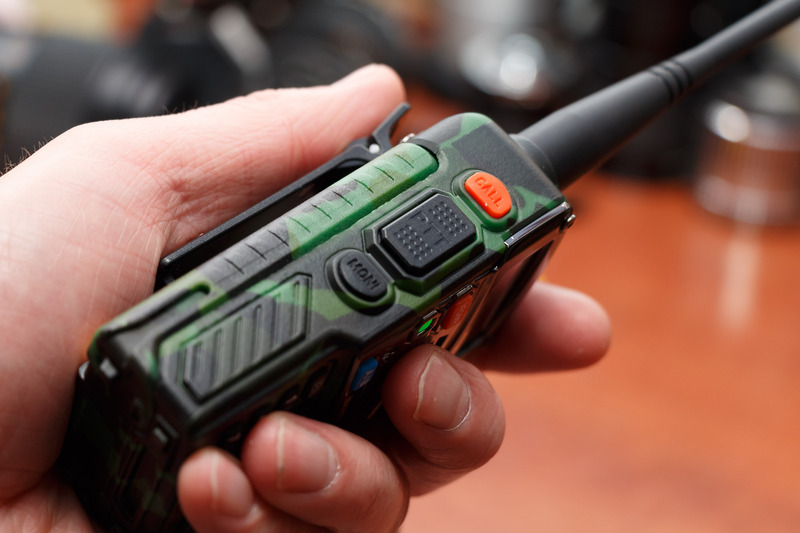 Het stomme is dat het alleen op UHF optreedt, VHF heeft geen issue. Hoi Roger, ik heb even zitten nadenken, maar kan zo snel niets bedenken wat dat kan zijn. Misschien is het wel een toontje uit de controller, omdat de porto op dat moment in een andere modus staat. Daar is lastig achter te komen, maar mocht je de porto eens open hebben liggen, zou je over bepaalde voedingslijntjes eens kunnen prikken met 100nF, om te zien of het pieptoontje te ontkoppelen valt. Bedankt voor je snelle reactie, ben bang dat het inderdaad open draaien wordt. Mocht ik iets vinden laat ik hier nog een berichtje achter. Bedankt! Dank je wel Eddy, leuk van je nieuwe Baofeng! Bijzonder hoor, 8 Watt uit zo’n klein apparaat.